1 st at 7:00 p.m. Abo Vatna accounting "Oleg Kharcha. The artist's book є we use a collage with enough other elements. Tse okremі glavi, scho boules zanotovanі in rіzny hour. On peppers, accredited to accounting, іншій Documentation, that mini-metric father with the fact that their wig-mouthed in the 80- 90th years of the twentieth table for one hour CPC. Doszdzhennya - tse zavzhdi process trivaly that kropіtky. On the day of the year, all are arched in the watchmaking clock to the extreme. Tom on the help Internet priyshov. Vin nadav can vivchati іznі aspects and life of people on the planet Earth. Tozh, sedentary monograph, earthling absolutely can be compressed by those, to any other important thing. Dovolі budenny klіk і axis vzhe theme of the war. To you, here is the name of the sign of the most extreme chimerical aspects. Hybrid News. Neogolosheni war. Price is real, в won out before the screen of a vlasnik tablet, nabuyuchi prismak virtual. I want to be able to go through real pivotal vіskovu operatsіyu. And with this year, we should write a book, written in a single copy. Skopiyuvati, and then vistavita and show svitovі. Chi von svіt, tse vzhe nastne nutrition. Yak wіn vіdreaguє - then vzhe third. Know here. Ukraine 2013- 2015 рік. Maidan. According to the map of Ukraine. Trial of my volunteering. Neogoloshena vіyna. Vaughn took vdzhe eleven tisych zhittiv. Thirty thousand wounded and scanty. Miljoi bіzhentsіv. And the won (Viyna) is by the year’s grave name through hybrid methods. Try the event. 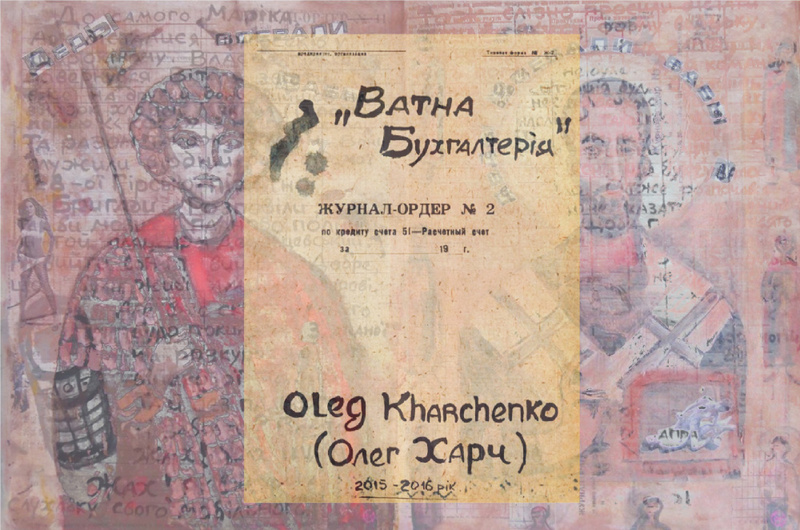 The book of Oleg Harch, you can pobachit from 1 to 14 of the grass 2019 rock, at the address vul. Kirilivska 65b (prostr Hlєbzavod). Entrance pіslya vіdkrittya, behind the housekeeper. For more information on the phone: (063) 02 83 501.